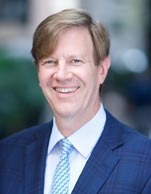 Mr. Hatfield has almost three decades of experience in the securities and investment industries. At ICA, he is the portfolio manager of InfraCap MLP ETF (NYSE: AMZA), InfraCap REIT Preferred ETF (NYSE: PFFR) and a series of hedge funds. He leads the investment team and directs the company's business development. During his career, Mr. Hatfield has gained a broad perspective on the U.S. financial markets with years as an investment banker, a research director and portfolio manager, and as a co-founder of a NYSE-listed company. A focus on companies that own real or hard assets, like energy infrastructure and real estate, runs through Mr. Hatfield's career. Prior to forming ICA, he partnered with senior energy industry executives to acquire several midstream MLPs. These companies were merged to form a company now known as NGL Energy Partners, LP (NYSE: NGL). NGL was an IPO in May 2011. He is a general partner of the publicly-traded company. In the years prior to forming NGL, Mr. Hatfield was a portfolio manager at SAC Capital (now Point72 Asset Management), running a portfolio focused on income securities. He joined SAC from Zimmer Lucas Partners, a hedge fund focused on energy and utility sectors, where he was head of research. Earlier in his career, he was head of an investment banking unit at CIBC/Oppenheimer and a Principal in in an investment banking unit at Morgan Stanley & Co. He began his career as a CPA at Ernst & Young. He holds an MBA from the Wharton School at the University of Pennsylvania and a BS from the University of California at Davis.